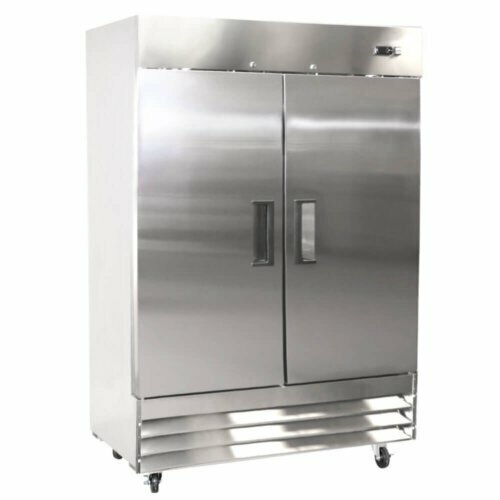 Chef Base Refrigerator is one of the most useful and versatile refrigeration equipment in every commercial kitchen. 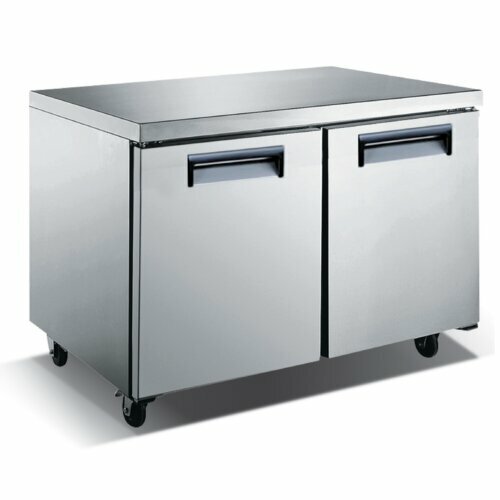 Our chef base refrigerator 2 drawers 52 inch is all stainless-steel construction, with 11 cu. 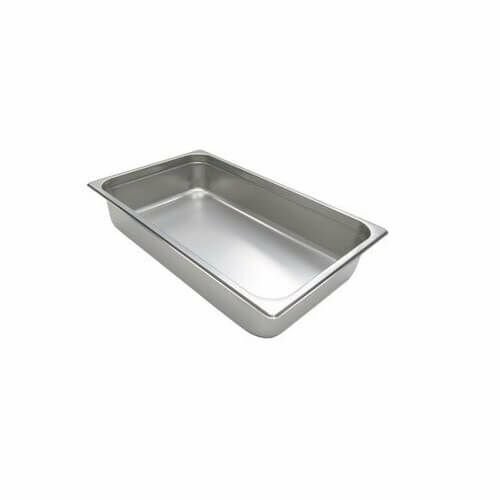 ft. net capacity and 6 full-size pans for food. 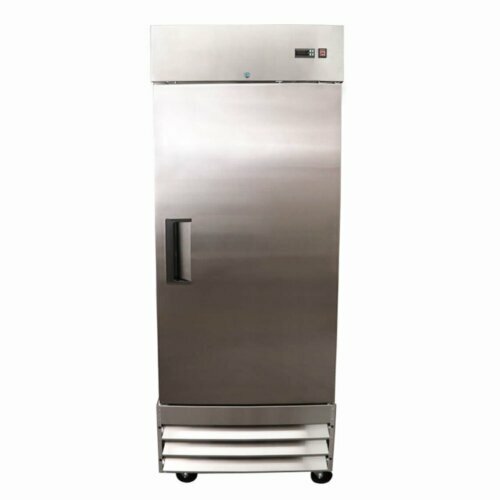 This chef base uses R290 refrigerant and this greatly helps your electric efficiency of the restaurant. 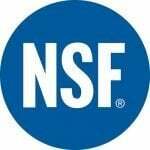 This is also the latest and the most efficient refrigerant. 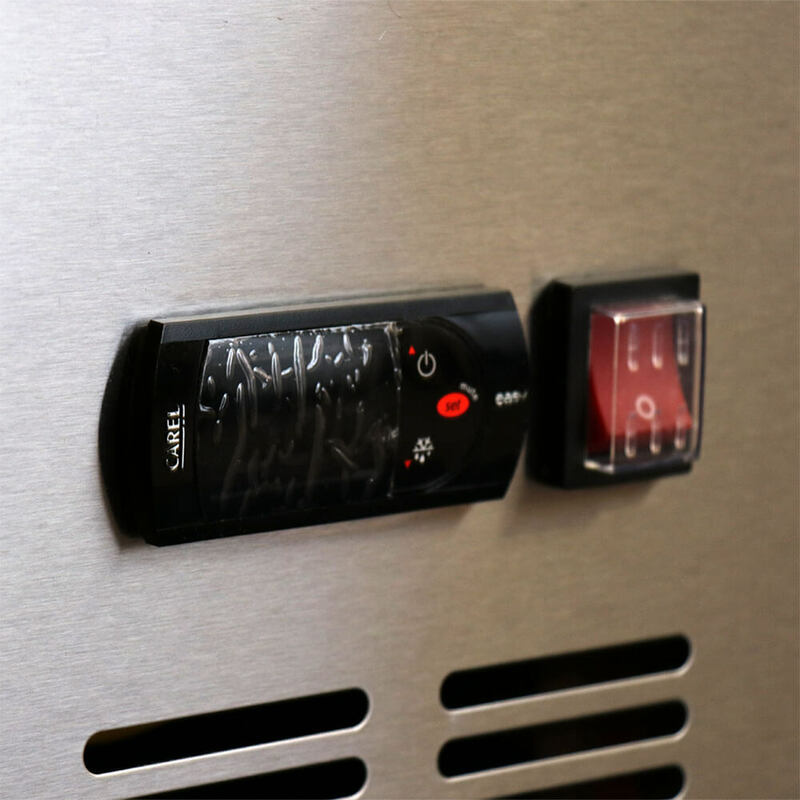 Also, the cabinet is insulated throughout with a foamed-in-place high-density cell polyurethane insulation. 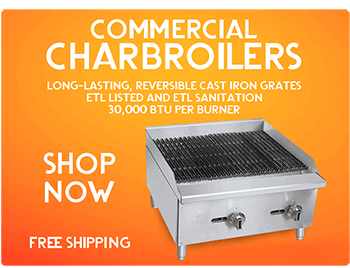 The proof of the high quality of used materials, production process, and the chef base overall is ETL Listed and NSF approved and backed by a 2-year warranty on parts and labor and a 5-year warranty on the compressor. To sum up, chef base refrigerator 4 drawers 52 inch, as well as other KM Kitchen Monkey stainless steel chef bases, add versatility to your workspace by providing more room for product storage and doubling as a heavy duty equipment stand all in one. 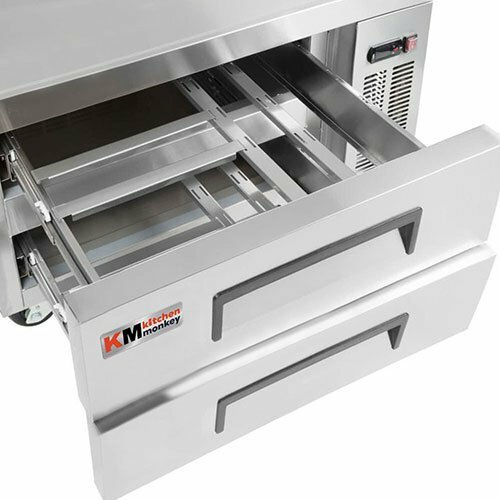 To sum up, chef base refrigerator 4 drawers 72 inch, as well as other KM Kitchen Monkey stainless steel chef bases, add versatility to your workspace by providing more room for product storage and doubling as a heavy duty equipment stand all in one. Exterior is constructed of a stainless steel top, front, drawers and sides with an aluminum back. 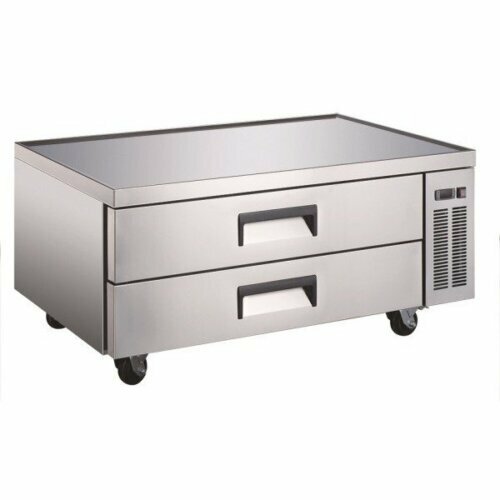 Countertop cooking equipment should be used in conjunction with the manufacture supplied legs. 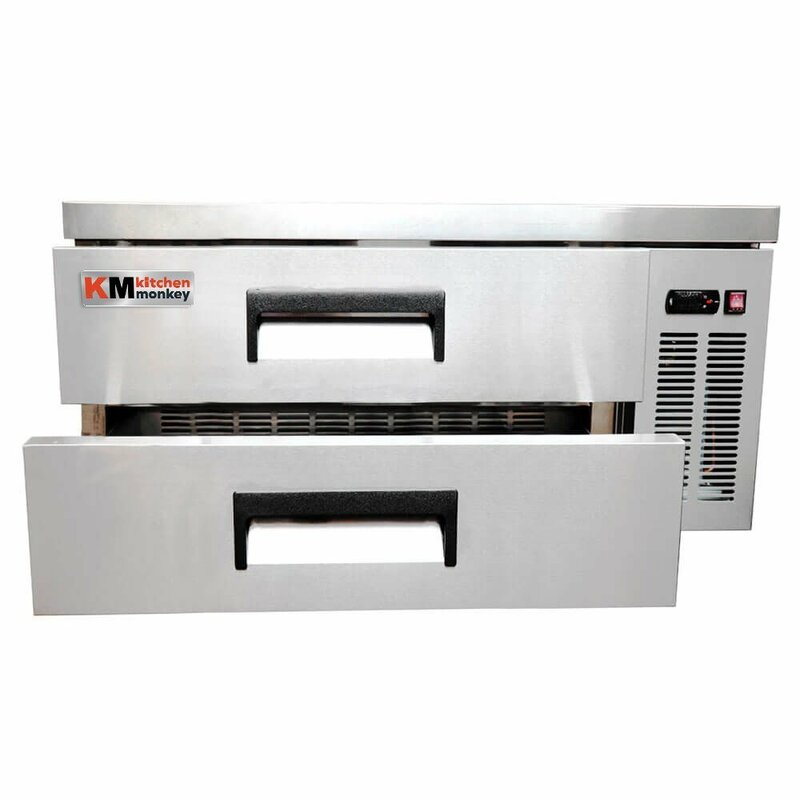 Minimum clearance of 4” required between bottom of cooking equipment heating element and the chef base top. Drawers support a wide variety of food pan configurations. 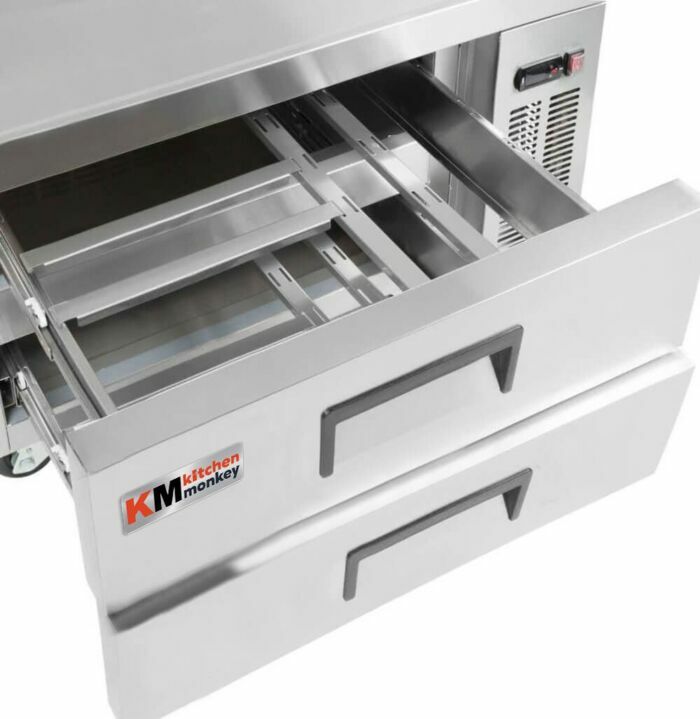 Includes one full length removable divider bar for each drawer. 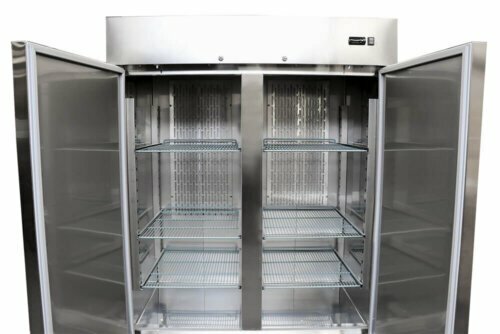 What makes this Chef Base Refrigerator 2 Drawers 52 Inch made by Kitchen Monkey exceptional is the design and production. 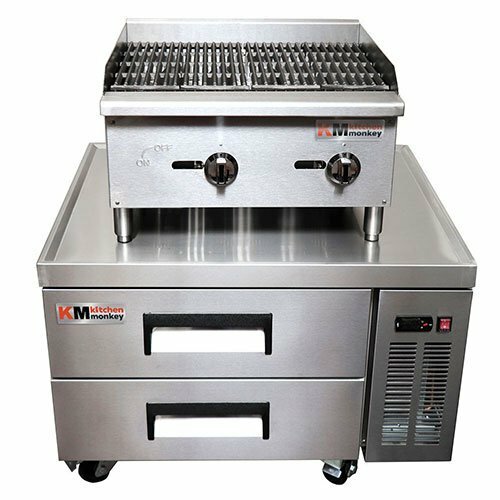 Not only we used 20 gauge stainless steel to create the extra durable top, front and drawers and sides, the interior floor and liners are also made of NSF certified stainless steel, which ensures flawless sanitary conditions for your ingredients. 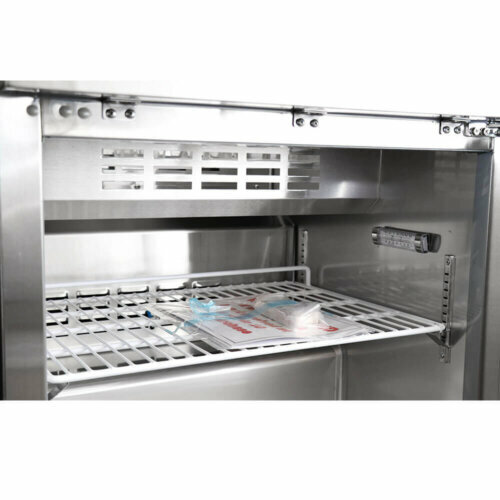 Chef base cooler is an excellent space solution since it is often used to support other kitchen equipment such as convection oven, hot plate, griddle, etc. 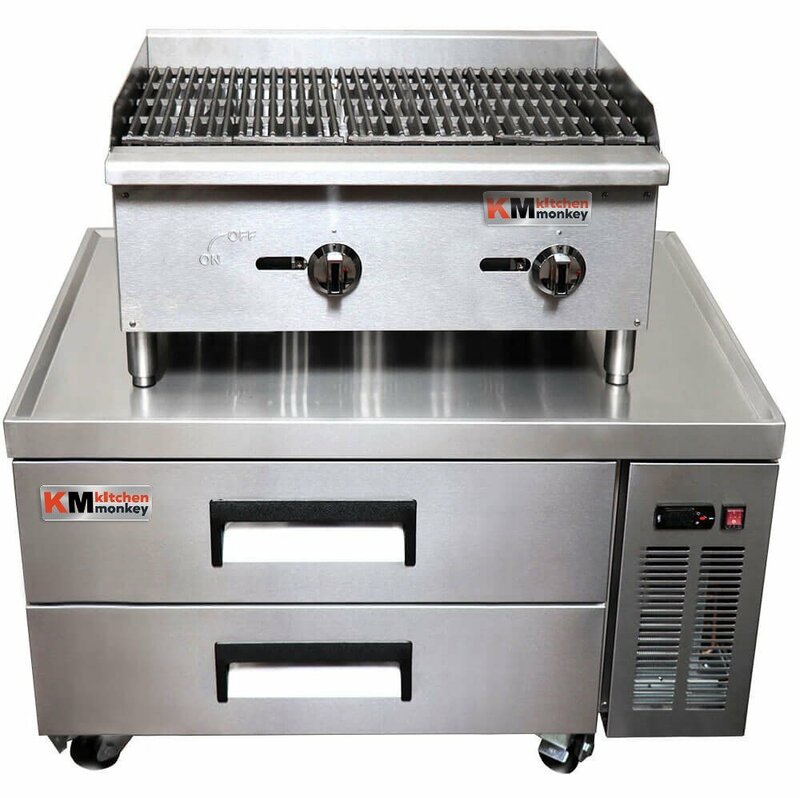 Therefore, heavy-duty top steel can withstand heavy weight, and if anything gets spilled, there are drop resistant V edges to protect against spills. 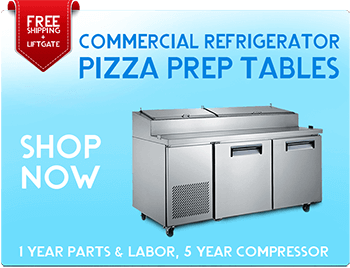 All refrigeration equipment needs a certain amount of regular maintenance. 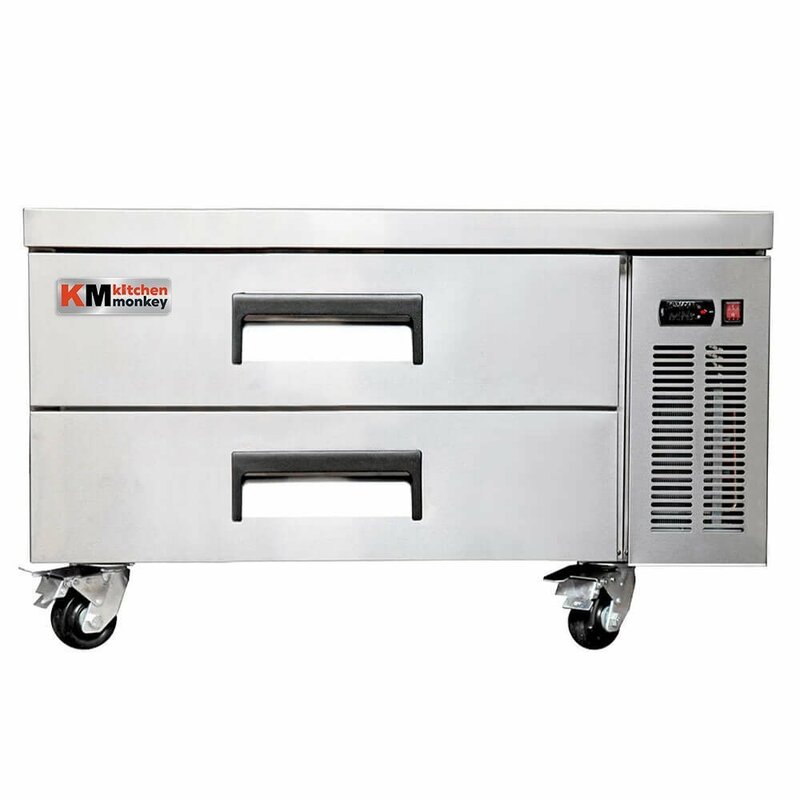 This chef base features slide-out compressor which ensures easier maintenance. 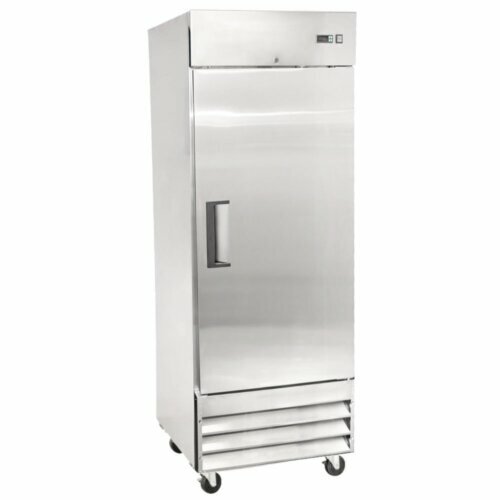 This will keep your chef base cooler run longer and be more efficient at the same time. Temperature control works good no matter how full the drawers are. I would prefer a larger temperature display. 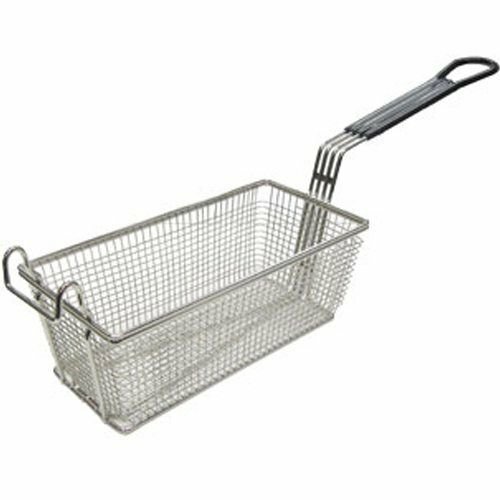 Great for stacking the kitchen equipment. 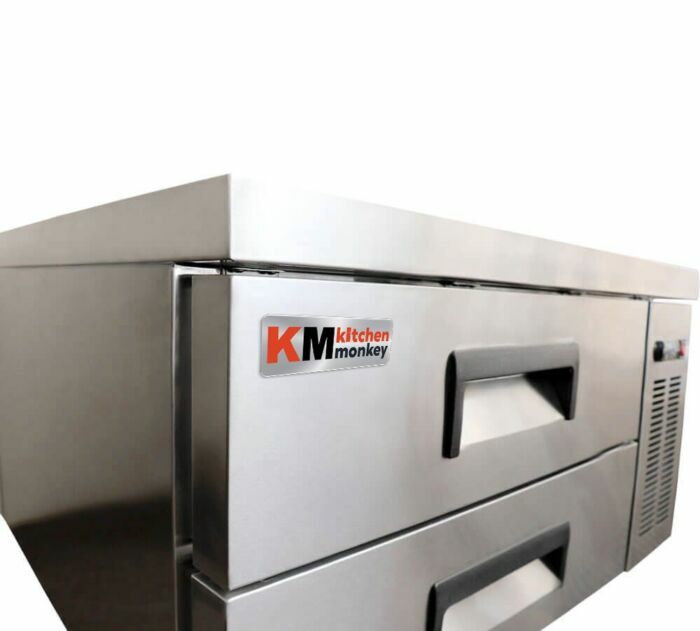 We don’t have a lot of room in the kitchen, especially on busy days, so being able to have everything in the same place is the real advantage. Really great construction. 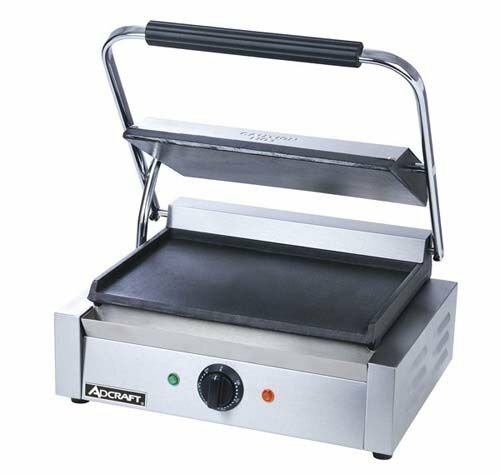 We have a griddle on the table top of our chef base, and the steel is very easy to clean while insulation keeps everything inside it cool without additional compressor work. It really looks great, the decsription on the website is correct and the images matches the look of the unit as well. And also the price was very nice. A lot of space for the necessary ingredients. 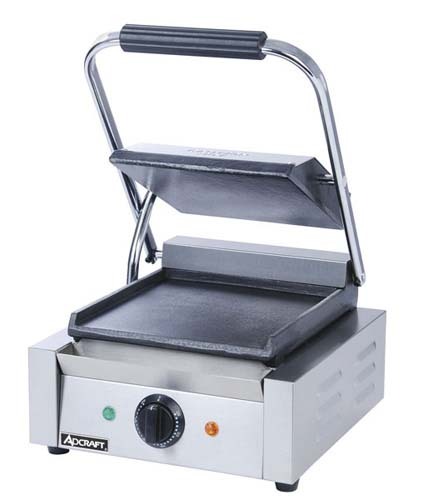 Really speeds up the food preparation. Can’t complain so far. Everything is just as we expected. We are getting used to using it, and we will probably be looking into getting another one, but with more space. Pretty nice construction. 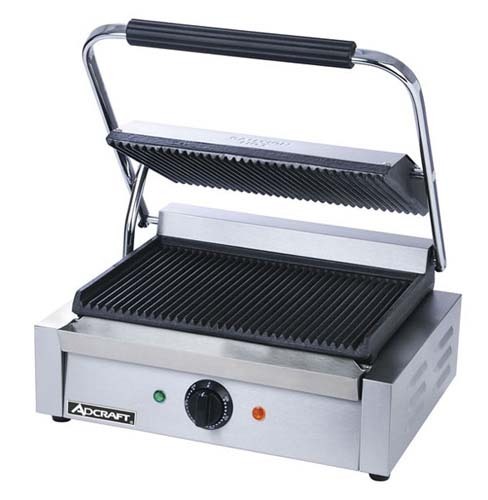 We use it with charbroiler on it, and cleaning of the top is super easy. Unit with so many potentials. 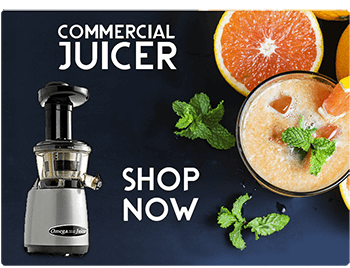 We just started using it, but it’s already become the favorite one. Very nice. Nice and compact. Useful both as a refrigerator and organizational tool in the kitchen. Great customer service and fast delivery!